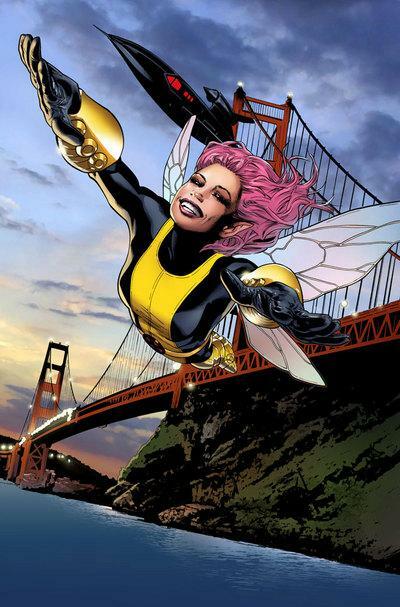 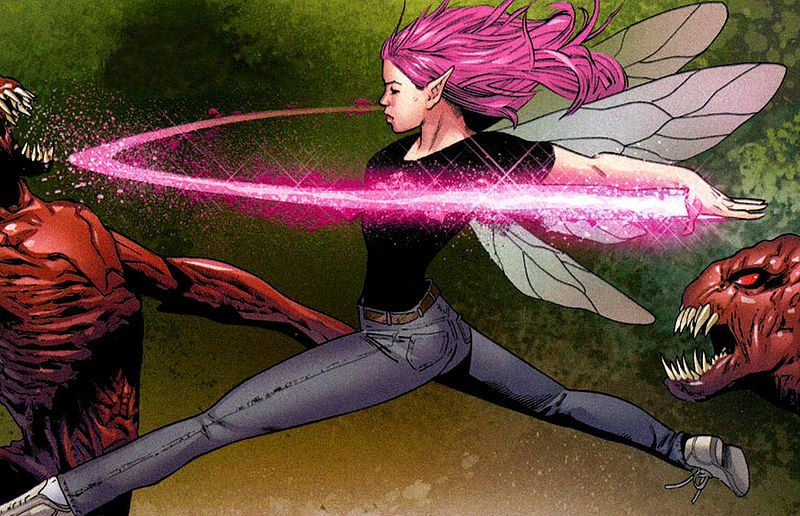 Pixie’s abilities are that she has pixie like wings that allow her to fly and pixie dust that causes hallucinations. 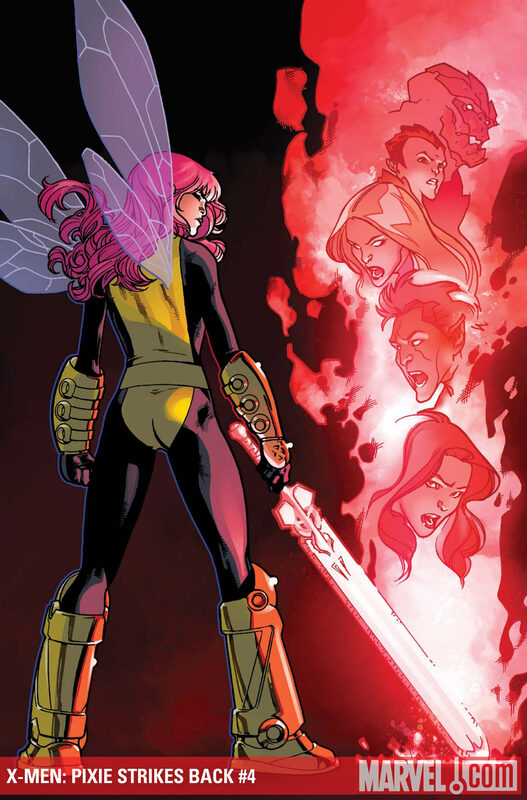 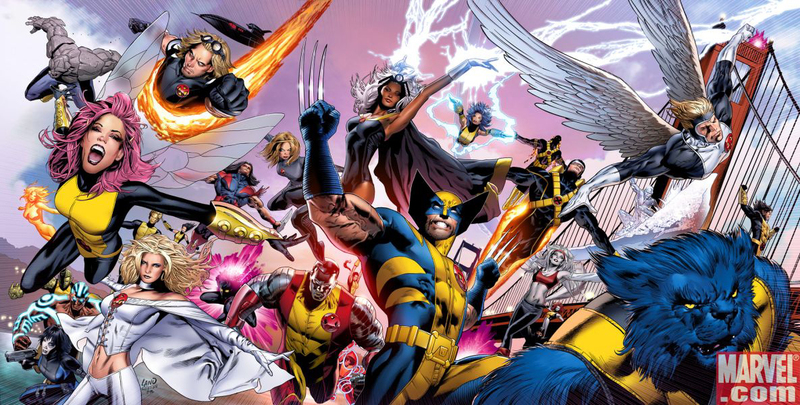 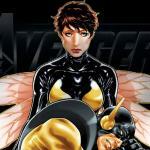 An incident involving one of the other X-Men, Magik, ended up in Pixie loosing a piece of her soul, and as a result she could call upon the Souldagger, which is her main weapon. 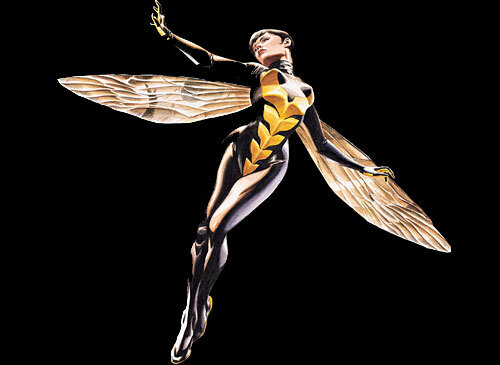 She was also given a bit of magic which she uses for teleportation.